The Food and Drug Administration recently announced a series of strict regulations that threatens the livelihood of cigar companies, and now the industry is fighting back. 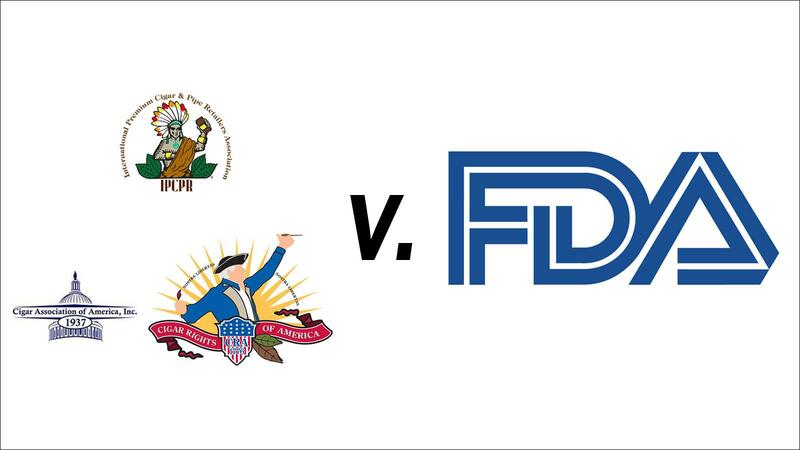 Early this morning, the three major lobbying groups that represent the cigar and pipe industries filed a joint lawsuit against the FDA in the U.S. District Court for the District of Columbia. These groups—Cigar Association of America, International Premium Cigar and Pipe Retailers, and Cigar Rights of America—are challenging the FDA's Final Rule, claiming it "violates numerous federal statutes as well as the federal rulemaking process." The FDA's strict new rules include quarterly user fees, pre-market approval for new products and more stringent packaging/warning label guidelines. Many cigar companies believe adhering to these new rules will be both costly as well as time consuming. "After a thorough and detailed legal review, we are challenging this unlawful regulatory action in federal court to protect the statutory and constitutional rights of our industry and its members. The fact that all three of our organizations are acting in one voice speaks to the urgency and seriousness of this action," said Mark Pursell, chief executive officer of the International Premium Cigar and Pipe Retailers association. The lawsuit is asking the court for a declaratory injunction to "vacate, set aside and enjoin the enforcement of the Final Rule." FDA's incorrect decision to regulate pipes as "components" or "parts" rather than as "accessories." "The FDA ignored the law to craft these expansive and sweeping regulations and cannot justify many of the arbitrary and capricious regulations it purports to enact," said Glynn Loope, executive director of Cigar Rights of America. "This lawsuit is a specific and detailed challenge to the FDA's unprecedented assertion of rulemaking authority." Craig Williamson, president of the Cigar Association of America, said: "We all worked in good faith to inform and educate the FDA on the unique nature of our industry, its members and our consumers. We hoped the FDA would craft a flexible regulatory structure that accounted for the uniqueness of our industry. Instead, we got a broad, one-size-fits-all rule that fails to account for how cigars and premium cigars are manufactured, distributed, sold and consumed in the United States."